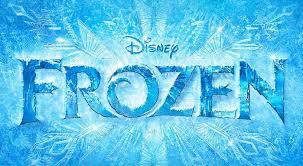 If you haven’t seen Frozen yet, let me ask you a simple question… What are you waiting for?! I’ve seen it twice already, with very real plans to see it again this week. Yes, it is that amazing of a movie! The first time I saw it was in 3D, and though I’m not the biggest fan of 3D movies, the opening with Cinderella’s castle was so sharp and beautiful that it actually felt like I was flying into the World of Disney. I would recommend seeing it in 3D at least once if you can. Once the castle flies out of view, a breathtaking chorus strongly envelopes you with their tenor voices and sets the stage for the masterful production. Within the first 30 seconds of the film, I was sold. It was the classic Disney formula. Lovable characters, heart stopping solos, adventure and laughs, and most importantly, lessons on loving yourself and others selflessly. The cool thing about this movie that sets it apart from others is that it explores the connections between people on other levels. It’s really about the unconditional love of two sisters, and their sacrifices for each other. Another thing I noticed was the slight change of pace that was approached by way of Anna’s personality. With a personality resembling Rapunzel in Tangled, Princess Anna is more vulnerable and awkward then the classic (and sometimes flawless) Princesses before her. It’s refreshing, and she will have you laughing at her naivety. I think Kristen Bell was the perfect choice to voice Anna because her energy really comes through and molds the character. 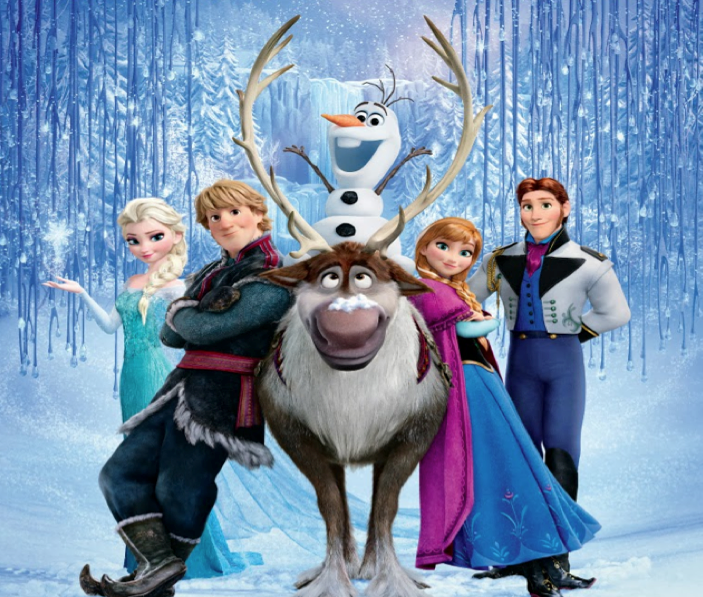 The songs are fun and moving, especially Queen Elsa’s “Let it Go.” When she finally has the chance to stretch her wings, her voice soars over the mountains and you can feel her exuberance. Her transformation happens throughout the song, and at the end when she hits the powerful high note, I found myself wanting to jump out of my seat and cheer her on. Side note: Any Arrested Development fans? I was talking about this movie with a co-worker of mine the day I was going to see it for the first time. Knowing about my love for the TV show Arrested Development, he informed me that he had heard in the movie Frozen, there are a couple of references to the TV show. I did catch two of them the first time, but on my second trip to the movies I was so in awe that I forgot to seek out any more references. The references were pretty obvious to the loyal fans of the show, and it was fun when that fourth wall was temporarily lowered. Spoilers – if you haven’t seen it yet, do not read on. All right, while the movie gave me that same feeling I had when I first saw Beauty & the Beast as a young girl, now that I am older, I am more aware of some plot-flaws, and there was one piece missing to the plot that did bother me. 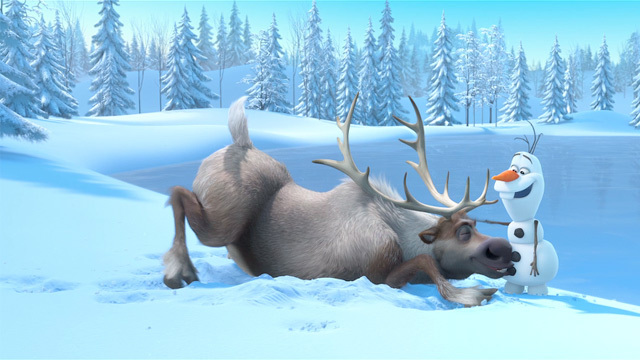 In the beginning of the movie, the audience watches as Elsa’s magical gift turns on her and ends her careless childhood. She nearly kills her sister, and the memory is removed to keep Anna safe. Because of this, Elsa is practically brainwashed (my opinion) by her overly-protective father to hide from every one and every thing. It’s a crappy deal for Elsa, which is why her song is so amazing. But Anna never gets the chance to appreciate the extent of sacrifice that Elsa made for her. When Anna discovers Elsa’s power, I thought she would remember some part of her childhood. And then when she met Olaf, I thought for sure she would have some stirring feelings. I think it may have been more powerful for Anna if she remembered what had happened, and understood why some of her hair had turned white. Since the whole ordeal was an accident, it might have helped Anna understand that there were some serious reasons why Elsa kept her out for all those years. I understand that Anna really isn’t supposed to know, but come on, how often do secrets ever remain until the end of a Disney movie? Anyways, that was just my one little critique. When I saw it again for the second time (not in 3D and still totally amazing, by the way), the ending felt more solid then it did the first, and that’s probably because I had an understanding for the pace of the movie. So do you agree with the statement that this film is this generation’s “Beauty and the Beast”? I can understand that, yes, and I would agree that the popularity will be as big as it was with Beauty and the Beast. The change of pace, where it’s a story of sisters, is really nice and new, where I feel that “Beauty and the Beast” broke through with Belle being an outcast and falling for a beast instead of the handsome Gaston. Love both movies!